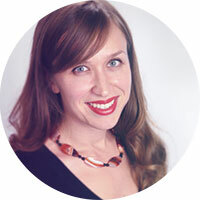 Hi, I am Irina Becker, a Milwaukee based UX strategist, researcher, and designer, who enjoys helping brands make an impact and grow by better understanding their customers and improving customer experiences. I am currently working at GE Healthcare as a Senior UX Researcher. I work with users to better understand their needs and shape UX strategy for products and applications. Before I was leading UX and digital design at Batteries Plus Bulbs. I worked on a wide range of projects from eCommerce websites and complex applications to the in-store customer experience. One of my recent projects was redoing a Point of Sale system. New POS application improved user experience, fixed usability issues, reduced time spent performing tasks and vastly reduced onboarding time. The most important in my career I consider having empathy for colleagues and customers. Love to create relationships and always encourage team building. I keep very close contact with people I worked with. I am humble and believe constructive feedback is essential for my growth. Passionate about learning new things and delivering remarkable experiences to customers. I try to make a difference in every project I touch. I love trying new things and getting myself out of the comfort zone. I am tall and speak with a slight eastern European accent. I wanted to be an artist when I grow up. I like to go on an occasional international trip. I like to stay active whether it’s hiking, yoga, salsa dancing or roller skating.